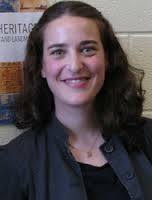 Jillian Gould is an associate professor in the Department of Folklore at Memorial University. Her interests include public folklore, ethnography and fieldwork, Jewish culture, biography, foodways, and the culture of aging. In the public sector she was Education Coordinator at the Eldridge Street Project (now Museum at Eldridge Street) in New York City, and also has completed projects for the Canadian Museum of Civilization (now Canadian Museum of History), and the Ontario Jewish Archives. At the forum, Jillian will be participating in the panel titled Stories From Here where she will discuss the recent Folklore Department's Bay Roberts Fieldschool. If you would like to hear more about Jillian's work, you can listen to our Living Heritage podcast episode with her by clicking here.